Travelers loyal to Hilton-branded hotels who want a credit card offering luxury perks may want to take a hard look at the Hilton Honors Aspire Card from American Express. Rewards points can be redeemed at Hilton’s 15 global brands, ranging from the luxury Conrad Hotels & Resorts to the value Hilton Garden Inn. Rooms can be booked at more than 5,500 hotels in 109 countries and territories. This top Hilton Honors card — with its $450 annual fee — lets cardmembers rack up points for spending at its hotels and in popular shopping categories. And, of course, the card has a plethora of travel and purchase perks that you’d expect with a luxury American Express card. We’ll evaluate what to like about the Hilton Honors Aspire Card from American Express and what to watch out. Meanwhile, there are other luxury credit cards with similar benefits to the Hilton Honors Aspire Card from American Express without being tied to the Hilton brand, so we’ll take a look at The Platinum Card® from American Express and show why it may be a better choice. Strong welcome offer. Cardmembers Earn 150,000 Hilton Honors Bonus Points after you spend $4,000 in purchases on the Card within your first 3 months of Card Membership.. That’s more than enough for a two-night stay, at 140,000 points, at the all-inclusive Jewel Dunn’s River Beach Resort & Spa in Ocho Rios, Jamaica, to escape any mid-February chill. Top rewards in top categories. Among all of Hilton’s credit cards, the Hilton Honors Aspire Card from American Express offers the highest points per dollar spent on hotels, flights, car rentals and dining, which is very appealing for frequent travelers. Plenty of ways for redemption. The points you earn on the Hilton Honors Aspire Card from American Express can be redeemed for Hilton hotel stays, car rentals, cruises, shopping, dining, gift cards and donations. If you’ve got a large cache of points banked, you may want to go all out and book a once-in-a-lifetime event, like a VIP experience at the 2019 Grammy® Awards in Los Angeles Feb. 10. The package comes with two tickets to the pre-Grammy brunch; the 61st Grammy Awards; the official Grammy after party; and a deluxe room at The Beverly Hilton for two nights. Transfer points for travel. You can convert your Honors points into miles for travel with more than 40 U.S. and international airline and rail partners. Top status. The Hilton Honors Aspire Card from American Express comes with automatic Hilton Honors Diamond status. Benefits include 100% tier bonus points per hotel stay, premium in-room and lobby Wi-Fi, an automatic space-available room upgrade (up to 1-bedroom suite), executive lounge access, a guaranteed member discount, 48-hour room guarantee, no resort fees on reward stays, early check-in and late check-out, fifth standard reward night free, free breakfast and two free bottles of water daily. Generous perks. If you have a luxury card, you expect to have benefits that match. This card comes with one weekend night reward, a $250 statement credit and a $250 airline credit once a year; a $100 Hilton on-property credit for each two-night stay; a free Priority Pass™ Select membership that covers you and up to two guests at more than 1,000 airport lounges around the world; car rental loss and damage insurance; access to the Premium Global Assist® Hotline; baggage and travel accident insurance; premium roadside assistance; extended warranty; return and purchase protection; and access to ticket presales and cardmember-only events. Flexible payments. Pay a purchase rate of 17.99% - 26.99% variable APR. Like Hilton’s other credit cards, this one also comes with the Pay It® feature on the American Express app, where you make small payments throughout the month on your balance and Plan It®, where you can create up to 10 payment plans for purchases of $100 or more with only a fixed monthly fee. Big annual fee. This card comes with a $450 annual fee, so make sure the points and perks you earn are worth it. Room reward cost. While you can earn another free weekend night, you will need to spend $60,000 on the Hilton Honors Aspire Card from American Express to get it. Lower points for transfers. While you can transfer your Hilton Honors points to more than 40 airline and rail partners, you’re going to get less value if you choose to do this. The transfer rate, for example, is 10,000 Honors points for 1,000 Delta Air Lines SkyMiles®. It will cost you 150,000 Hilton Honors to get 15,000 miles on Delta. That’s enough for a round-trip flight from JFK to Los Angeles in coach in February, although you can do better if you are a SkyMiles member and use the miles you earn directly. If you don’t want to be tied to the Hilton Honors loyalty program, but still want to have a luxury American Express card in your wallet that comes with hotel perks, consider The Platinum Card® from American Express. Understand that it comes with a $550 annual fee, among the highest in the luxury cards category — but also bear in mind that the benefits that come with this card more than cover the annual fee. New cardmembers receive a welcome offer of 60,000 Membership Rewards® points after you use your new Card to make $5,000 in purchases in your first 3 months. Those points can be redeemed at the Membership Rewards® website for everything from hotels to airline flights. The card comes with plenty of yearly credits, including $200 in Uber credits; $200 to cover airline fees on the carrier of your choice; and up to $100 to cover enrollment fees for Global Entry or TSA Precheck. These alone almost cover the card’s annual fee. The Platinum Card® from American Express also comes with Hilton Honors Gold and Starwood’s SPG gold elite status (which, after the recent merger, also provides Marriott Gold Elite). SPG gold allows you to earn 10 points per dollar spent, an automatic enhanced room at check-in when available, a late check-out and free enhanced in-room Wi-Fi. There’s also free access to airport lounges, including Centurion Lounge, international American Express lounges, Delta Sky Club, Priority Pass Select, Airspace and Escape. Yearly individual memberships at the Sky Club and Priority Pass alone cost $545 and $429 a year, respectively. Under the Fine Hotels & Resorts program, receive free benefits with an average total value of $550, such as daily breakfast for two, room upgrade when available, a property amenity valued at $100, guaranteed 4:00 pm. late check-out and noon check-in when available; and free Wi-Fi. The Membership Rewards points you earn on this card can be transferred to 18 airline or three hotel loyalty programs, including Hilton Honors. Be warned, though — you’ll pay up to $99 for points transfers. When you book airline travel on the card via Membership Rewards, there are no blackout dates or seating restrictions, and your points don’t expire. Members have access to the Platinum Card Concierge, which has trained staff to help with services such as custom travel itineraries, restaurant reservations and tickets to sports and entertainment events. The card also comes with cell phone protection, return protection, extended warranties and free Boingo internet access at more than 1 million hotspot locations worldwide. 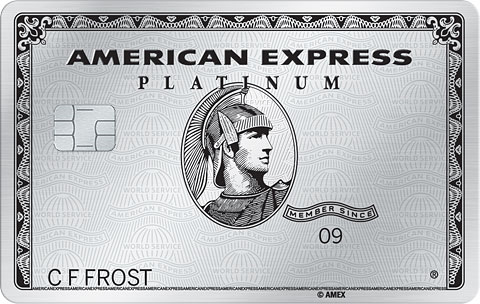 Unlike the Hilton Honors Aspire Card from American Express, The Platinum Card® from American Express is a charge card, so the balance must be paid off every month. And The Platinum Card® from American Express doesn’t come with travel protections such as baggage and travel accident insurance like the Hilton Honors Aspire Card from American Express. Rewards Earn up to 14X Hilton Honors Bonus Points on eligible purchases 5X Membership Rewards® points on flights booked directly with airlines or with American Express Travel and 5X Membership Rewards® points on prepaid hotels booked on amextravel.com. Welcome offer Earn 150,000 Hilton Honors Bonus Points after you spend $4,000 in purchases on the Card within your first 3 months of Card Membership. 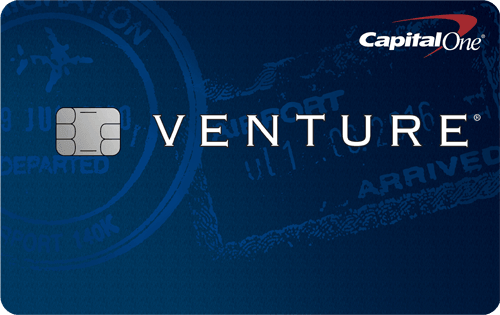 60,000 Membership Rewards® points after you use your new Card to make $5,000 in purchases in your first 3 months. It all comes down to what’s more important to you when deciding between the Hilton Honors Aspire Card from American Express and The Platinum Card® from American Express. If you’re a Hilton Honors member, this card’s lucrative welcome offer, paired with among the highest points per dollar spent on hotels, dining, supermarkets and gas, is attractive. It also comes with gold status and some respectable travel and purchase perks. The card has good redemption options, but we don’t recommend moving your points to airline and rail loyalty programs because of poor transfer values. The $550 does offer lower points per dollar spent for travel when compared to the Hilton Honors Aspire Card from American Express. 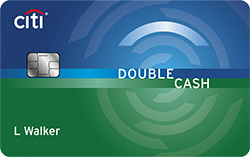 But the card does allow cardmembers to earn higher Membership Rewards points when booking flights and prepaid hotels at Amextravel.com. And if you want to transfer your Membership Rewards points to American Express’s 18 airline or three hotel loyalty programs, do it at a 1,000 points to 1,000 miles rate, which is better than the Hilton Honors Aspire Card from American Express. So if you’re a Hilton Honors loyalty program fan, the Hilton Honors Aspire Card from American Express is your best bet. But if you want Hilton Honors elite status, along with more ways to redeem your Membership Rewards and more perks, The Platinum Card® from American Express may be better.